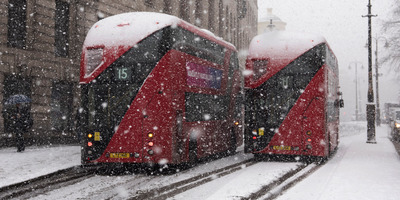 Alex Burstow/Getty ImagesLondon buses drive through the snow in Westminster. The UK is in the grip of a dramatic cold snap this week. Despite this, McDonald’s told a 14-year-old girl she had to eat her food outside. They were enforcing a policy which bans children in school uniform from eating inside their restaurants. McDonald’s has said that the weather doesn’t make a difference. A 14-year-old student in London was forced to leave a McDonald’s and eat in the freezing cold because she was wearing her school uniform. Lucy Haffenden and an unnamed friend were asked by staff at a McDonald’s branch in Erith, south London, to eat their cheeseburgers outside around 5 p.m. on Monday, The Sun reported. Temperatures in London hovered between 0 and -4 degrees Celsius (32 to 25 Fahrenheit) that day. 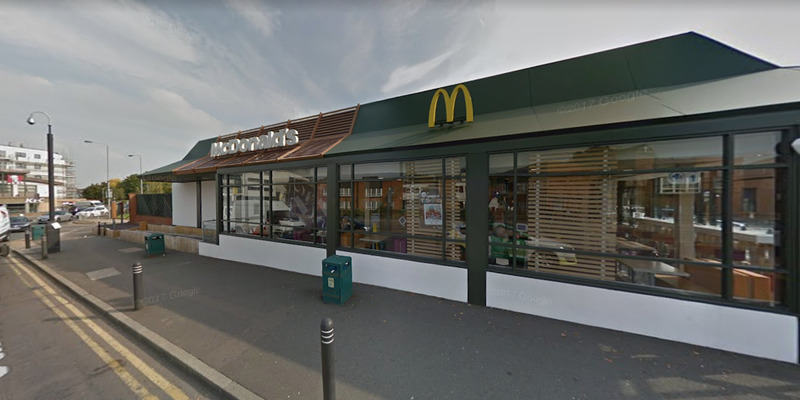 McDonald’s acknowledged the incident, and said its Erith branch had enforced a blanket ban on having more than two children in school uniform present in the restaurant at the same time. According to Haffenden’s father, Mark, the two students were given a takeaway bag and asked to leave despite saying that they wanted to eat in-store. It’s not entirely clear how many students were in the store at that time. McDonald’s is yet to respond Business Insider’s request for clarification. Britain and many parts of Europe are experiencing heavy snowfall and sub-zero temperatures as it grapples with the “Beast from the East,” a cold blast caused by unseasonably warm weather in the Arctic. Google MapsMcDonald’s in Erith, south London, where the incident took place. “Due to anti-social behaviour from large groups of school children the Erith restaurant has a policy of allowing only two school children in the restaurant at any time. Mark Haffenden, the student’s father, told The Sun that the company should have made an exception and that he would be asking for a refund on his daughter’s meal. He said: “We all know what the weather has been like, I can’t believe they’re allowed to make them get out. Parts of southern England and Wales will continue to be hit by heavy snow and strong winds as Storm Emma pushes up from southern Europe, the UK Met Office has warned. At least three people in the UK have died as a result of icy conditions, the BBC reported.